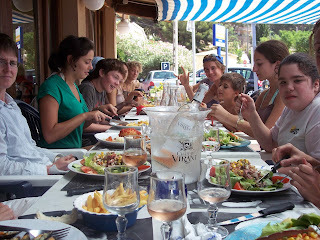 Step Up Your Summer in France and Spain with C'est si Bon! 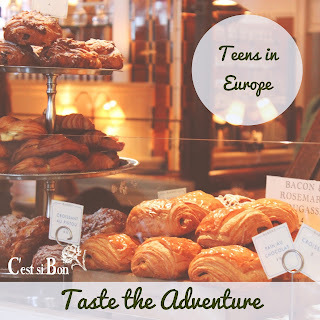 Start Your Own Adventure in Taste Now! A huge gift of working with Teen-Chefs is keeping in touch with them, and answering the question where are they now? Today we're going to meet Elijah! 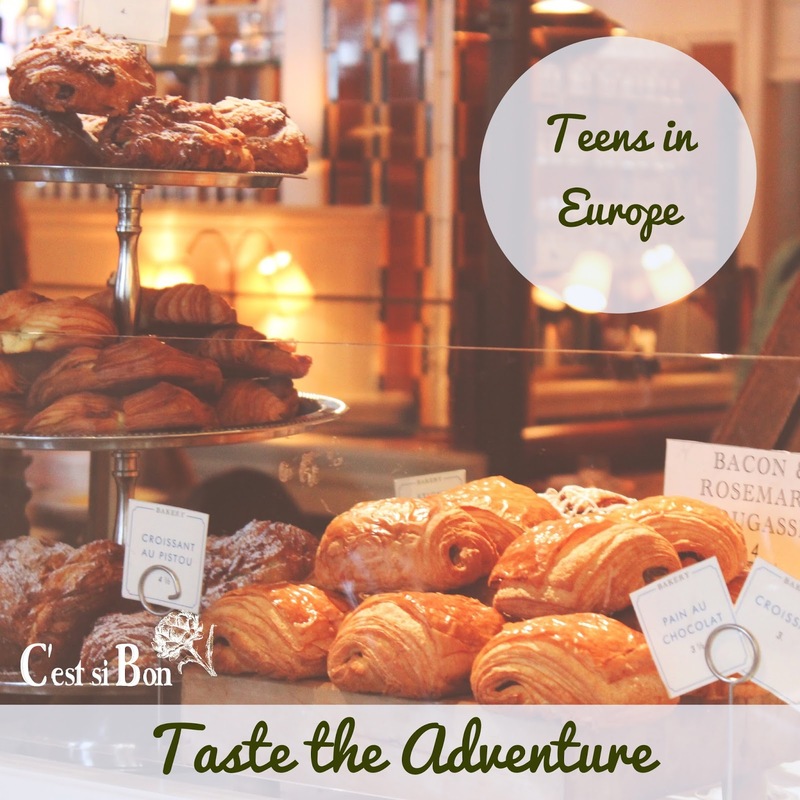 Read the first post of the series, a bit of the background of how we began with Teen Tours in Provence. Then, please read about Nora and Maya. If intrigued I invite you to join us and Taste the Adventure. Elijah came to C'est si Bon! from Madison, Wisconsin for a Provence teen tour back in 2006. I have had the good fortune of seeing and catching up with him, recently! He was in Chapel Hill in March to visit his girlfriend, Margo, a UNC Med School student who also house sits for us from time to time. We had a super lovely time going out for lunch at Pizzaria Mercato in Carrboro and then we grilled up some giant fish at the house and reminisced and caught up. 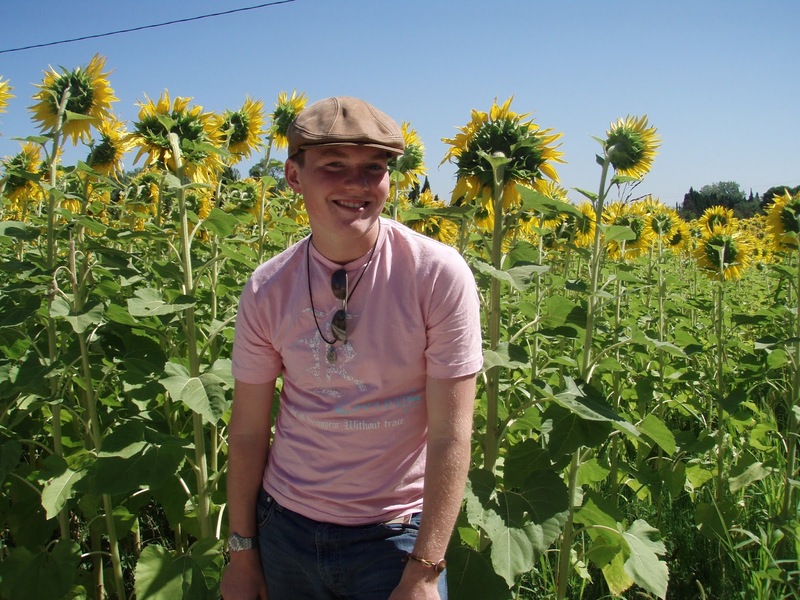 In 2006 Elijah was adventurous, flexible, a little kooky, loved Provence and Arles, and they him, so much that he returned to Provence for an internship during the summer of 2007 and he also ventured to Chapel Hill and was an intern in C'est si Bon! 's Kid-Chef program for a couple of weeks. His interests then included eggplant tian, dance, running, theater, and baguettes, but that is simplifying things way too much. Now Elijah was working on his PhD in data analysis regarding astronomy, travels to intergalactic conferences (not exactly...) and determines such quantifiable things as dust and galaxies. He said he uses Python code to do this and patiently explained it to me at Mercato as I looked on in amazement. I was mulling over how I felt the same when my youngest son, Jaryd, tells me all about how he also uses Python code to "rig" a character. Now that is not enough, on the side Elijah works on projects using data to predict where an Airbnb user will book next. I am glad he is doing this work, because maybe at last someone can tell me where I am going! Included in his other hobbies are woodworking and from time to time he delves into brewing barleywine. Sweet basil for the grilled fish we made. Of Elijah's variety of woodworking projects, I am lucky enough to give a home to one magnificent chopping block! Of his seemingly diverse interests he says - "The common theme amongst all of my endeavors however, is the attention to quality." Here is Elijah's pre-Provence trip questionnaire in 2006 - we and all the teens answered the questions and then shared the results to get a sense of who we all were! I found some time to answer your questions! What languages do you already speak? Where have you traveled? How do you feel about trying new food and new dishes? Are you concerned about foods you haven’t tried but may experience on the trip? -I love to try new things every day to get more variety in my diet and see what I like so I'm not always obligated to the same food. Favorite foods now? Favorite baking? Favorite chefs? Do you watch Food TV? Tell us a little about the foods of your region. What is your region, what is happening there? If you have moved or originate from a different locale, please share a bit of both. 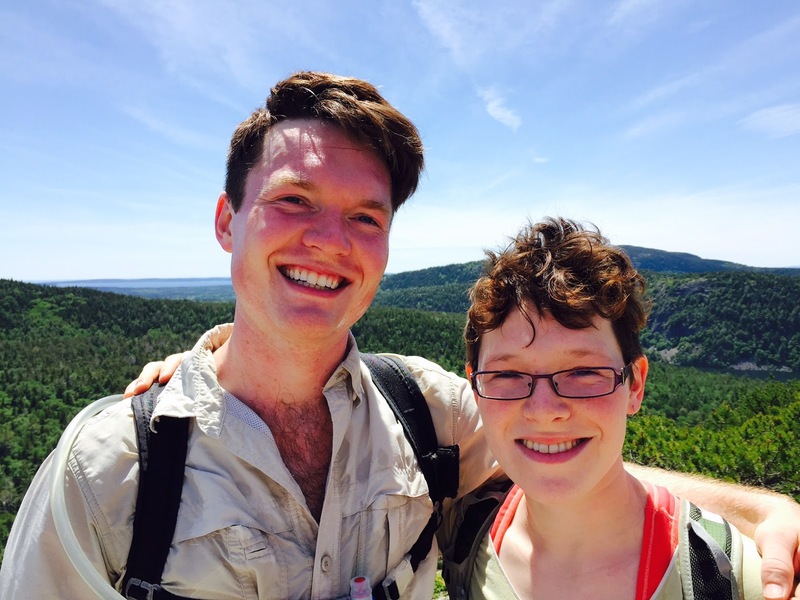 -For a few years of my childhood in Maine, we mostly ate lobster and cold water fish. Once we moved to Wisconsin, we began eating a lot of corn during the season and plenty of cheese and milk. There's not a lot going on around here, we have an occasional tornado, but nothing more exciting. How do you prepare for traveling? Do you take care of your own passport or do your parents handle that for you? -I throw together my baggage the night before and get on the plane while my parents take care of the rest. 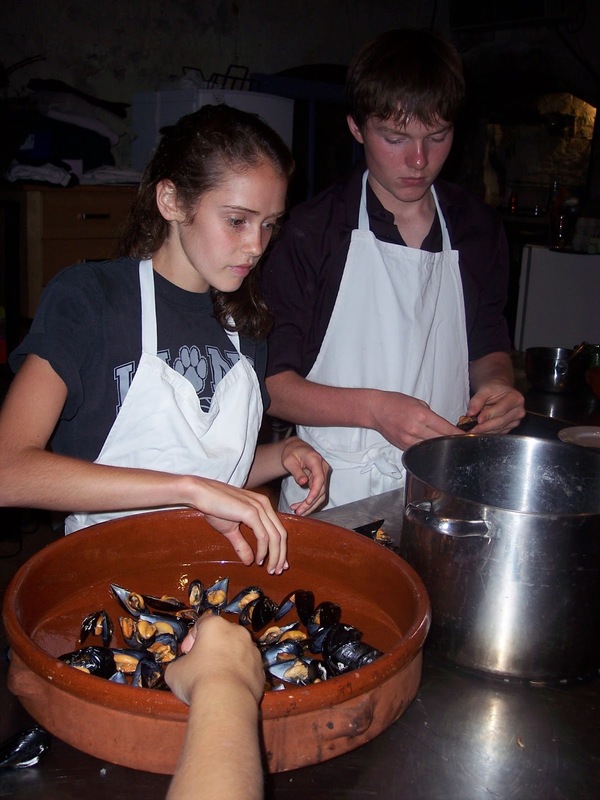 How do you feel about bouillabaisse, zuppa de pesce, wild boar, and rabbit? -I've never heard of bouillabaisee or zuppa de pesce, but it sounds exciting and I can't wait to try new flavors and textures. 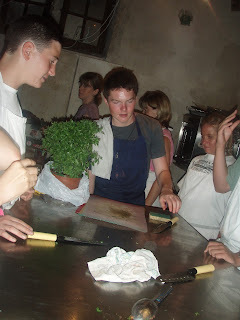 What do you want most or hope most to learn while on the Provence trip or the Tuscan trip this summer? 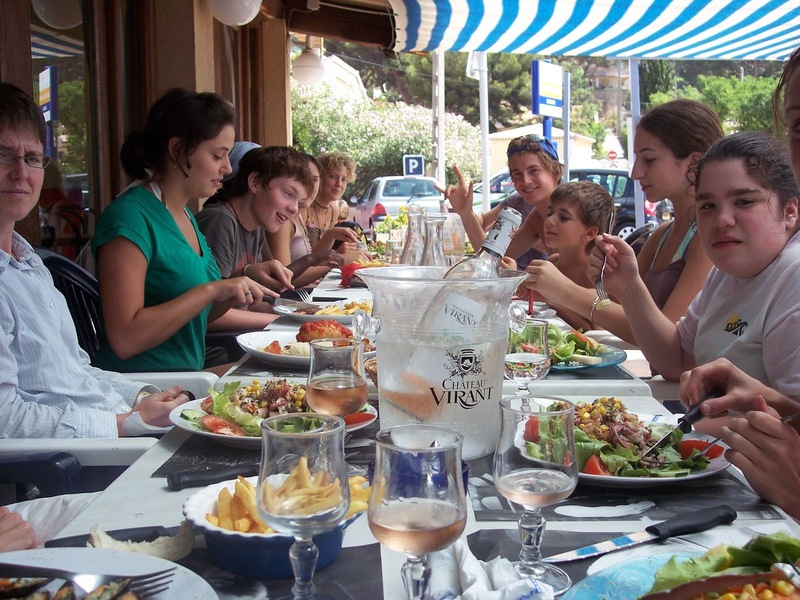 What and when French people eat. How they make it mostly. 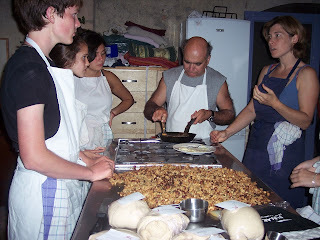 The French know how to cook and I'm looking forward to bringing their knowledge home. Do you enjoy walks? Prefer city landscape or countryside? -I'm not much of a lone walker but when I go with somebody it's fine. I don't prefer one over the either, the city brings you plenty of things to think about like: what is that guy going to do? how long did that building take to construct? where's that car going? and it keeps your mind busy. but the countryside is often beautiful, so you can't go wrong there. One of Elijah's long-held interests remains, bread! Here is one of his current faves, a no-knead sourdough bread from his blog on a variety of topics. Merci, Elijah, for spending time with us today and yesterday! We wish you safe travels and hope to see you and Margo soon! Another name for the eggplant in Provencal is the mérijanne. tremendously abundant and with so many varieties on the markets of Provence. large and purple, round and violet, egg-shaped and white, tiny and dark maroon. 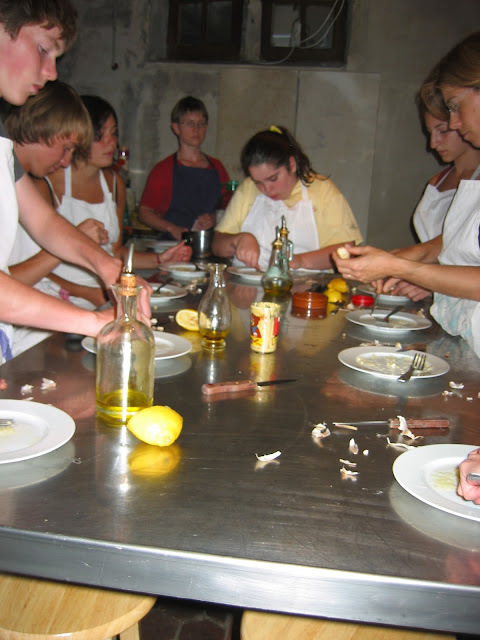 the legend goes that this dish was first prepared for the pope during his time in Avignon in the 15th century. he apparently told his cook that he preferred the food he was served in Italy, from whence he came. the next day, the cook served him a molded dish shaped like the pope’s hat, and when queried, told the pope that it was a papeton (the word for pope in french is ‘pape’). We can also make a variation of this dish with zucchini. poke the eggplant with a fork and bake whole in the oven for 45 minutes or till a wooden spoon can press it down – till the inside pulp is fully cooked. if using zucchini, peel first and then steam till very tender. (you can also simmer or steam your eggplant with the skins on till tender, and then purée it). meantime, start your sauce. peel the tomatoes over a stove top flame one by one. this removes only the thinnest outer skin, and leaves all the rich and flavorful flesh from just under the skin intact. 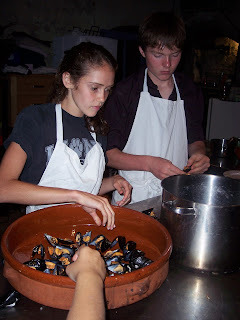 once chopped, move them cup by cup into a heavy mortar and pestle and crush them to a pulp. prepare the garlic: on a small plate, squeeze the lemon juice, sprinkle the pinch of fine salt, take a sharp pronged fork and place the prongs flat on the plate, take a peeled garlic clove (the larger the easier to handle) and scrape it back and forth on the tips of the prongs. you will produce a fine puree that will be lightly cured by the acid of the lemon juice, ideal for cold sauces and salad dressings. mix together the tomato pulp, the garlic puree, the chopped basil, the olive oil, and the sea salt to taste. place the sauce in the freezer to chill before serving. remove your eggplant from the oven, let cool a bit till you can handle them, remove the pulp from inside the skins, discard the skins. mash the puree till smooth. (do likewise with the steamed zucchini). then place in a colander to drain excess liquid. mix the eggs in a bowl with the pinch of salt, add the eggplant (or zucchini) puree. to speed up the cooking process, use a large omelette pan, well greased with olive oil, and “pre-cook” your eggs and eggplant mixture till the texture of very wet scrambled eggs (about 3 minutes, with constant stirring and turning). then put this still soft mixture in a well-greased/non-stick loaf pan (or simply line it with tin foil, dribbling the olive oil on the foil), placed in a water bath of its own, lay 4-5 bay leaves along the bottom and sides of the dish, then pour in the eggplant and egg mixture. place in the oven and bake till browned on top and solid, about 45 minutes - 1 hour. to serve : remove from its mold and place on an oval or long serving platter and slice. accompany with the cold tomato coulis. Oh so wonderful to have Elijah's news! 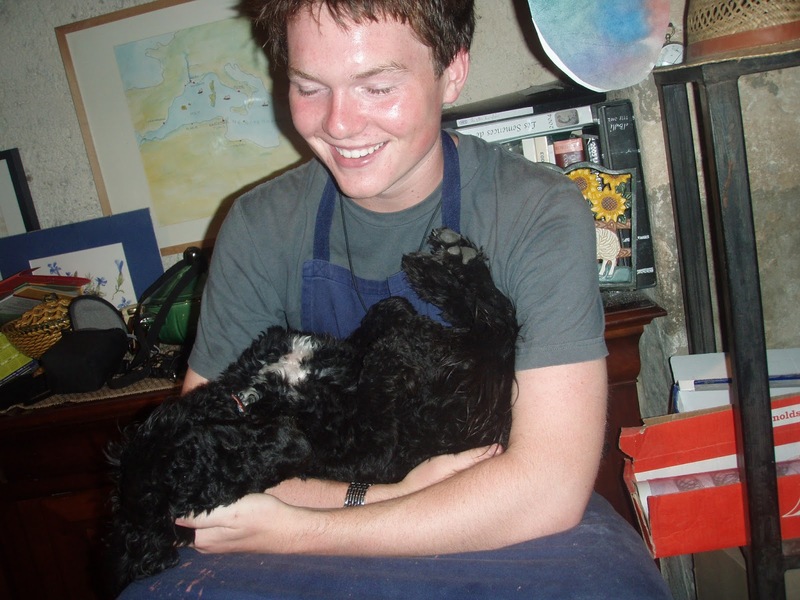 We adored his time with us and remember him very very fondly! I'll send this blog post to Jonas - now 14! - whom Elijah helped me care for during a 2 week intensive in my Waldorf teachers' training. And to see a baby picture of Filou! now 10 years' old! !